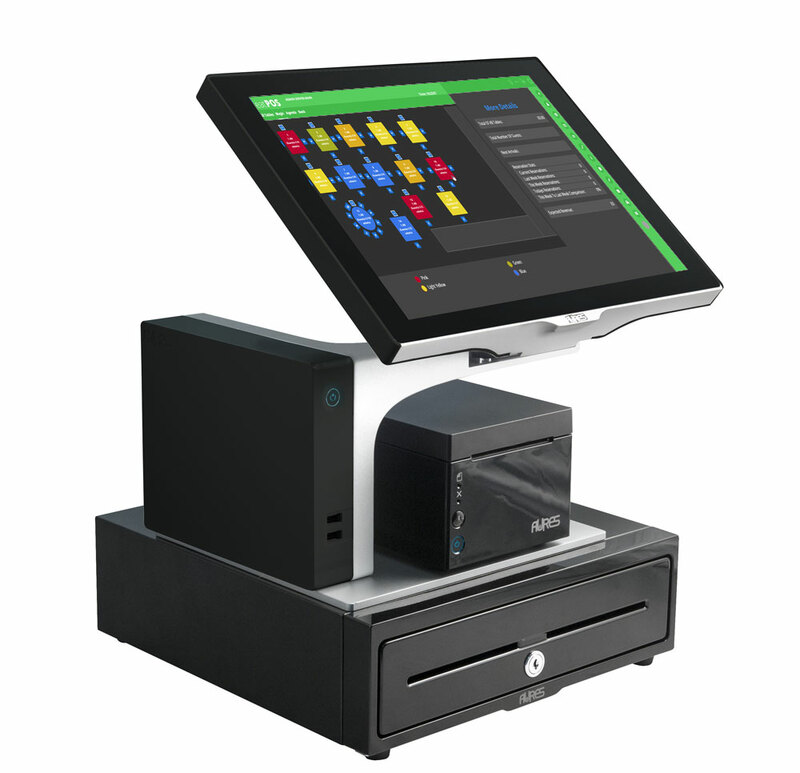 We have carefully selected our hardware to give you the best experience. Sourced by us, the hospitality and retail experts, to ensure you have the best experience. The hardware that we source has a great track record in the field, so it's highly unlikely you'll be left without a terminal! 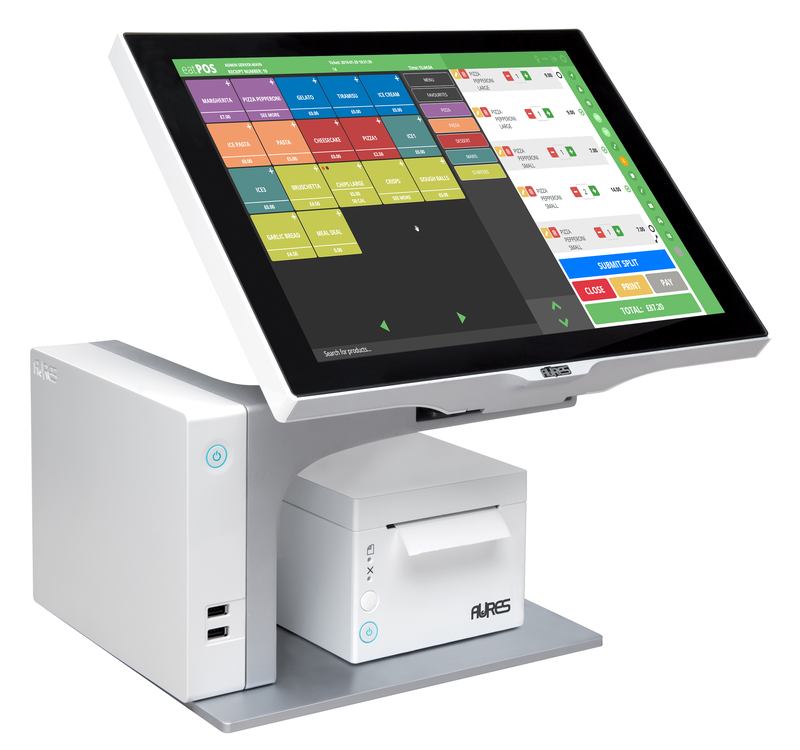 Powerful hardware that is connected to our powerful eatPOS cloud reduces the need for power hungry local servers and messy wiring. 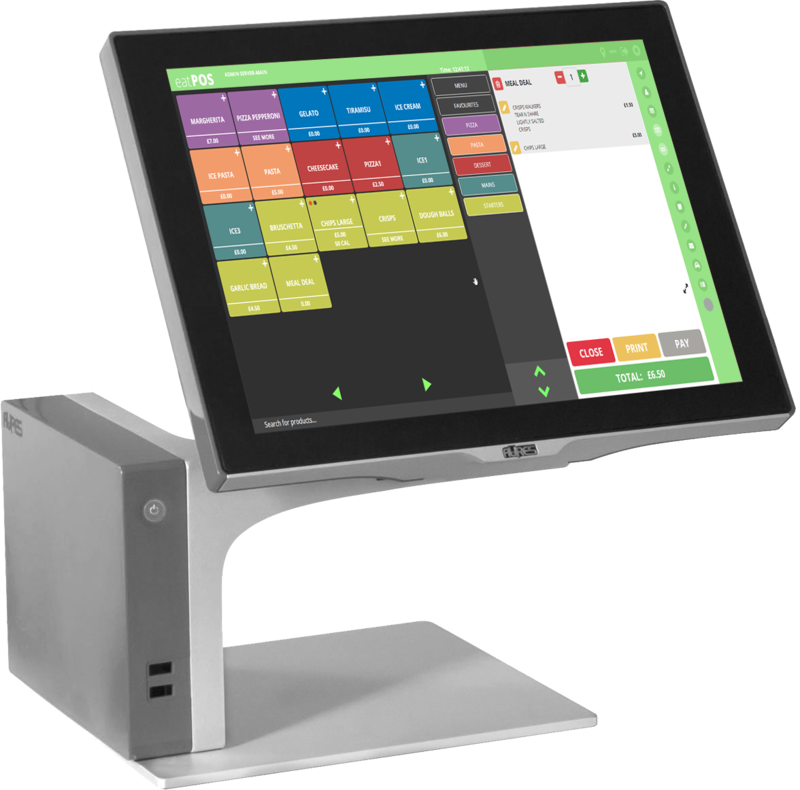 Our modern large touch screen all in one terminals work seamlessly with our waiter tablets, kiosks and other add-ons! The Aures range will help you to make an impact. 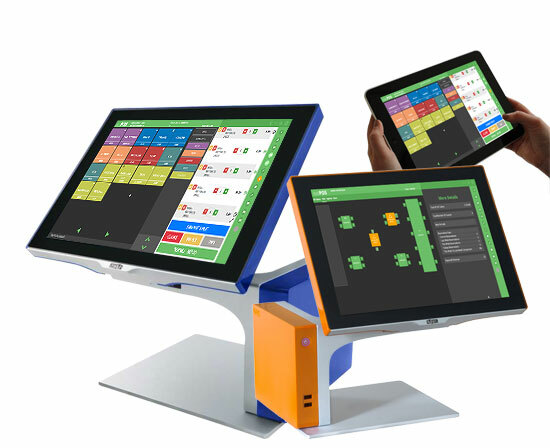 Available in a range of bright colours, these devices are perfect for any business that wants to stand out! Available in white (pictured) and charcoal grey, these stylish, but compact terminals are perfect for the understated look. Powerful hardware and a waterproof rating make this suitable for all environments. Cloud management and reporting. 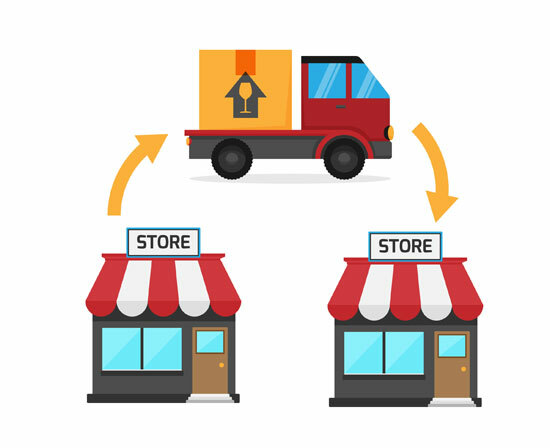 Not only can you access your sales and inventory from any device, anywhere, anytime, but you can edit prices, loyalty discounts and much more! 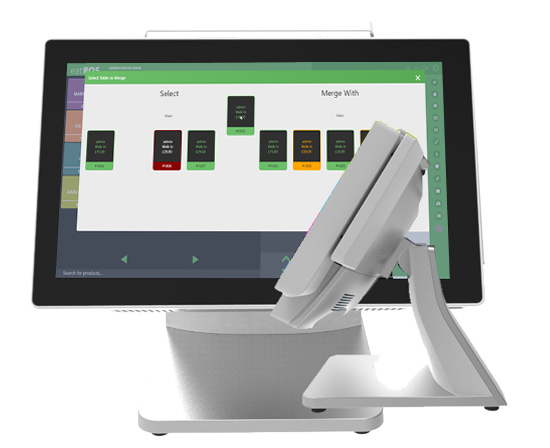 Our POS systems software also feature great staff management and multi-level access features to ensure that each member has of staff has the correct access to each feature (discount, voids etc.) reducing risk to the business, with an extensive cloud back-office that you can manage from anywhere in the world. Multi-branch support from the cloud back-office, manage all branches from one back-office!